With over 45 years of experience, you can have confidence that the Law Office of Harry W. Haskins, P.A. has the expertise you need in legal representation. Mr. Haskins has received the distinction of being double Board Certified by The Florida Bar, uniquely qualified in both Business Litigation Law and Civil Trial Law. 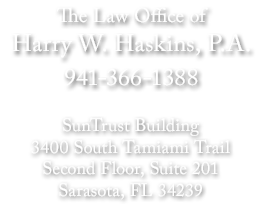 Additionally his long standing client relationships and proven track record in the courtroom attest that The Law Office of Harry W. Haskins, P.A. has the necessary knowledge, skill set, and experience to handle your specific legal needs. The Law Office of Harry W. Haskins, P.A. is dedicated to providing clients with the highest quality of service. Attorney Haskins is rated AV Preeminent by Martindale-Hubbell, which is the highest level of distinction in professional excellence. Mr. Haskins will give you the personal attention you need, walking you step-by-step through the process of protecting your rights, sharing his in-depth knowledge and experience, with results-driven service. The Law Office of Harry W. Haskins, P.A. provides clientele with experienced counsel in the many areas of Civil, Personal Injury, Commercial, Business Litigation, and Real Estate. 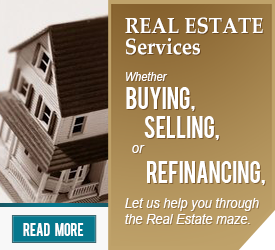 Mr. Haskins is dedicated to serving clients’ needs as efficiently and effectively as possible. His long-standing client relationships are a testament to his commitment to service.